Here is how you can get a duplicate PAN Card in case you lost or damaged it accidentally. PAN Card is an essential document today. You need it for major financial transactions, income tax payments and returns. However, misfortunes do happen sometimes. What if you lose your PAN Card or it gets damaged accidentally? Solution is quite easy and hassle free! You can apply for a duplicate PAN Card online. Your Permanent Account Number will not change in any case. However, you need to go through some simple steps to get your duplicate PAN Card. We will make everything easy for you in this step-by-step guide. A thorough procedure for its application is shared in this post. Appropriate links for the same are captioned here for you to access them directly from here. To apply, you will need to submit your Permanent Account Number. If you do not find your PAN Card number with you anywhere, no worries. Retrieve your PAN Card number and its details using facilities at the Income Tax e-filling portal. Please refer to our post for PAN Card verification. It will help you to retrieve your PAN number and details at e-filling site. (Follow the different procedures of Know your PAN and Know your Jurisdiction Officer). When You Should Apply for Duplicate PAN Card? You have lost your PAN Card. Your card is stolen. (No need to have FIR copy or any complaint lodged for the lost card). Please note that you will be applying for the re-print of your card. 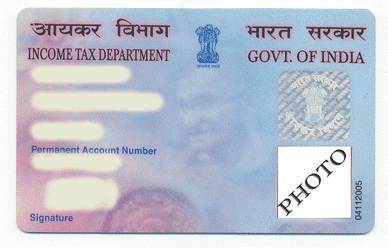 Your re-printed PAN Card will be exactly the same as the original one and there will be no mention of the word “duplicate” anywhere. You need to fill all the correct PAN Card details in case you are re-applying for it. In case, you want to get certain details changed in your previous card, we recommend getting PAN Card Correction Form from the official website. Find below how you can apply for the duplicate PAN Card at NSDL portal. Visit the NSDL official website. Click on the button- Reprint of Card. Follow the link for ‘Online Application for Changes and Correction in PAN Data’. You will get all the instructions for filling up the online form. At the bottom of the page, find the button for selection. Select your entity as applicant for PAN Card. Select Individual/Partnership Firm/Company and other options as applicable. You can now start filling up the form and submit it. You will need to mention your Permanent Account Number. If you are mentioning your Aadhar Card number in the application form, do send the proof of your Aadhar Card to NSDL e-gov. Upon your successful submission of form, you will get an acknowledgement number. Get a print out of this acknowledgement receipt. Acknowledgement (duly signed with photographs in case of individual). Demand Draft of Rs. 107 in favor of NSDL – PAN, Payable at Mumbai. (If you have not paid online). Any proof of existing PAN (if you have any). Proof of Identity, residential address and birth date (applicable for individuals and proprietors). Send the documents to NSDL e-Governance Infrastructure Ltd., 5th, Mantri Sterling, Plot No. 341, Survey no. 997/8, Model Colony, Nr. Deep Bungalow Chowk, Pune – 411 016. Mention on top of envelope: “APPLICATION FOR PAN CHANGE REQUEST-N-Acknowledgement Number” (mention your 15 digit acknowledgement receipt number). Envelope should reach NSDL within fifteen days from the date of online application for Duplicate PAN Card. This completes your application process. Also note that the copy of your lost or damaged PAN card does not serve as sufficient proof. You need to send proof of identity, residence and date of birth. Only after submitting this, you will receive the Duplicate PAN Card. You can track status of your application online using our separate post on PAN Card status. You can also inquire by calling the NSDL helpline number at 020-27218080. We are sure that the above guidelines will help applicants getting their Duplicate PAN Card. We also recommend applicants to get necessary changes in their PAN Card while applying for the duplicate one. You can also get complete guidelines to apply for a fresh PAN Card at our site. Likewise, application can be made through UTI or NSDL for any changes required in the PAN Data too. Though we have tried our best to give all the necessary details, visitors are welcome to drop their queries and confusions related to PAN Card procedures. I have lost my PAN card in the month February 2016 have been not found any where.Since I request you to issue me a Duplicate PAN card. Please consider the matter as most urgent. I have lost my PAN card in the month of March 2016 have been not found any where.Since I request you to issue me a Duplicate PAN card. Please consider the matter as most urgent. I lost my pan card at the month of MAY and it is nessery for my home loan , without pan card the loan will not senstion, so my kind request to you for get the pan card fast ,my coupon nu is 605339981. I LOST MY PAN CARD AND I APPLIED FOR THE NEW PAN CARD .SORRY FOR APPLIE TO THE NEW PAN CARD I DONT NO . I lost my Pan card and how I get my duplicate pan card. kindle tell me I should get my duplicate Pan card. I Want to Get PAN Card But I Don’t Know what is the Procedure For Making PAN Card.